Having vast industrial experience and technical knowledge, we are involved in providing a comprehensive range of Odour Control System. Our offered product is manufactured in such a prompt manner that meets various applications in different areas. We are supported by highly sophisticated technology in manufacturing the entire range of odor control systems. Backed by our specialization, we have brought forward Odour Control System to tackle all kinds of odor issues. This system is used to control odor emissions in outdoor, indoor and localized situations. We make available these systems in scented varieties for adding pleasurable scent wherever necessary. Owing to our innovative engineering concepts, we have developed these systems for uses in several industries. These are eco-friendly products. 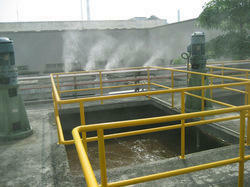 Looking for Odour Control System ?